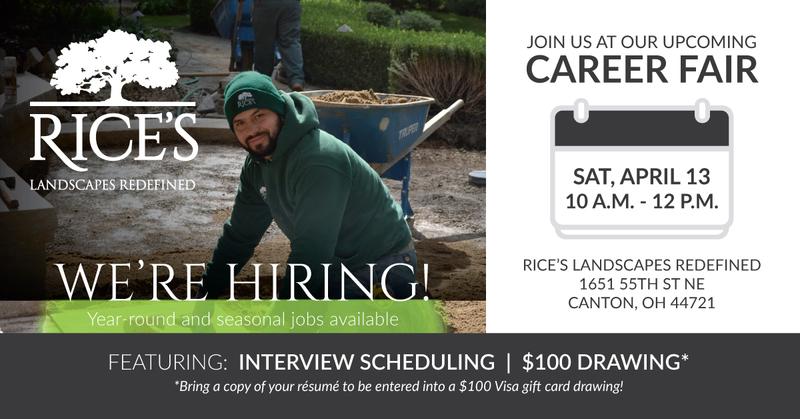 Attend the upcoming Rice's Landscaping career fair, Saturday, April 13, 10:00 am - 12:00 pm at Rice's Landscaping in Canton, Ohio. You'll be able to schedule an interview for year-round and seasonal jobs. And, if you bring a copy of your resume, you'll be entered into a $100 drawing.